The big excitement around here with my children and their friends is “What are you going to be for Halloween?” This is an important question. After all, there is the school parade, the town fall festival (and parade), the church’s Trunk or Treat event (and parade), and the annual “get candy from your neighbors” ritual (with spontaneous rush-to-the-next-house parade). I count at least five chances to dress up for Halloween, and we aren’t even talking about any private Halloween parties. The choice of costume is a big deal. While hoards of Disney princesses, pirates, cheerleaders, zombies, zombie cheerleaders, and a superhero or two will descend upon our town in October, this group will also include a disco ball. 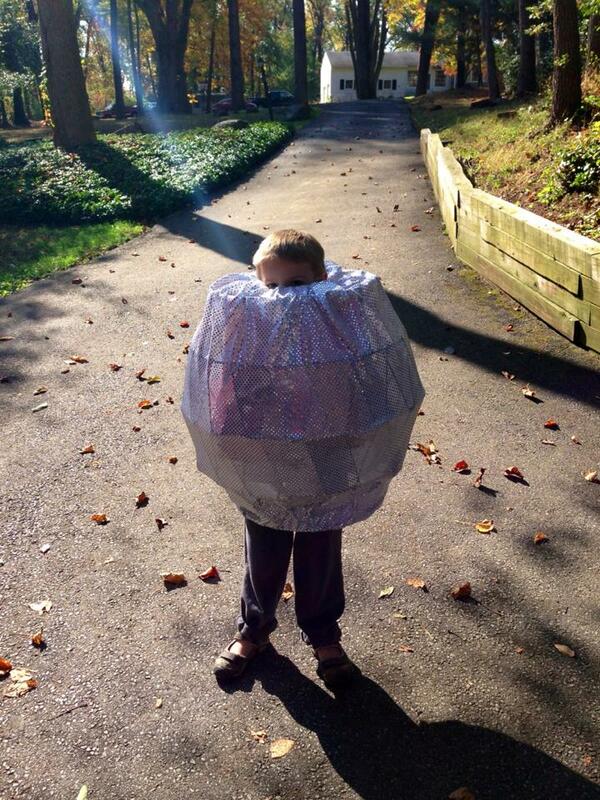 Yup, my kid wants to be a disco ball. It is going to take a lot more work on my part, this disco ball thing, and my initial reaction as I gazed longingly at the vinyl and fabric ready-made costumes on the rack was, “Wouldn’t you want to be Jack Sparrow instead?” But, I swallowed that thought and that comment, and put it away fast, because I am secretly proud of my child. He is showing his independent spirit. The youngest of three, Henry has always been one to go with the crowd, padding along behind his brother and sister, sometimes stepping painfully on their shadows, sometimes getting the benefits of an ice cream half finished, or a fuzzy Buzz Lightyear shirt that has been washed a hundred times into softness. More often, though, this easy-going child gets dragged about where everyone else wants to go, sometimes literally and with a sigh. So, if my guy decides to exert his independence as something involving mirrors and spray paint, something most of his peers have never heard of, something that may well be a literal chance to shine? Yeah, this mama is going to make it happen. Because, I think we have to look for these moments. The ones where our kids don’t go along with the crowd, where they are thinking out of the box. There are those little creative moments, when a toddler puts his underwear on his head because it is different, or a second-grader decides to dress herself in something resembling Rainbow Bright, because they have the freedom of trying it out, of anticipating the reaction with joy. When those moments happen, we adults better not disappoint them. Will encouraging one lone disco ball in a sea of cartoon characters mean that I will never have to worry about Henry making the wrong choices due to peer pressure? Of course not, but I hope that by encouraging his independent, slightly quirky choices, he will feel confident in his creativity, his instinct, his internal compass of who he is and what he will or will not do; how he can choose to live his life. We have to give them those moments to be reflective. We have to let them shine, even if that means in the guise of a disco ball. I’m trying to teach my oldest child how to use the washing machine and dryer. Any tips? All three kids home from school for a teacher-in-service day, plus a nasty storm that is keeping us all inside? 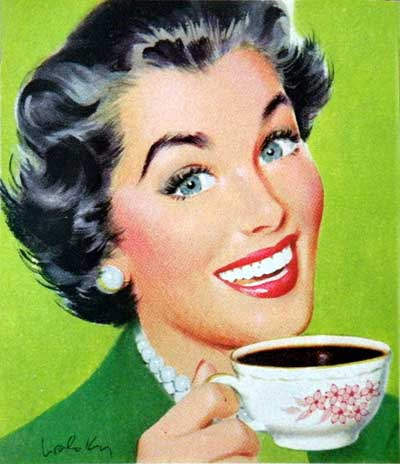 I think today is a three-cups-of-coffee day. No, I am not a bad mother. My daughter did not spend the entire summer eating chips. I believe she is talking about our visit to the potato chip factory, one of several fun and educational outings we took as a family during the summer. Have you heard that working mothers neglect their children, raise children who are overly aggressive thanks to daycare, and contribute to global warming by driving to work when they should be home? Or really, stay-at-home mothers are lazy and uneducated, raise children who are not socialized, and negatively affect the economy by not working? From television to the Internet, these are just some of the statements that can be heard in our modern society, uttered by self-proclaimed experts and moms alike. Although motherhood is fraught with cliques and camps based on parenting decisions: breast versus bottle, spanking or not, public, private or homeschooling, nothing seems to be more controversial that a mother’s decision to work or not to work. Welcome to the mommy wars. Take for example, the recent Dr Phil show which divided the audience into two warring factions, working and non working mothers. Titled “Mom vs. Mom,” the show’s guests hurled inflammatory statements against each other with encouragement of the host who called it a “cat fight.” Mothers who earn money working at home or working part time were not represented in the episode. The show earned the first ever “Apple Pie in the Face Award” from Mothers and More, a national nonprofit organization dedicated to improving the lives of mothers through support, education and advocacy. “The only places where I have seen true “Mommy Wars” — battles between two factions of women – ‘working moms’ vs ‘stay at home moms,’ with each side flinging judgmental statements at one another, are forums which initiate and foster such ridiculous cat fights – internet message boards, and talk shows,” says Enjeti-Sydow. “Women in general judge each other very harshly,” Peskowitz says. “Mothers tend to be defensive about their choices; we feel vulnerable. We often blame each other because it is harder to figure out how to make those changes and make a difference for mothers.” Peskowitz says that the real issue for mothers is changing society to improve the lives of mothers and offer them positive choices. The real issue, Pesokwitz says, is getting employers to accommodate mothers and recognize their value. “I think we are in danger of losing a whole cohort of women,” she says. “Women who are highly educated. As a nation, we are losing them. We are losing all of this knowledge, skill and creativity, because our family policies are short-sighted. “How do employers treat caregivers? What are our traditions for paying women? I don’t think anyone wants to solve these issues,” Pesokwitz says. “There is maternal wall discrimination.” Pesokwitz says there is a wage gap wherein mothers tend to make 15 percent less than childless women, or 40 percent less than men regardless of male parental status. “There is also a general discrimination,” Peskowitz says. “mothers are seen as less competent and are passed over for less interesting work.” Those who choose to work part-time, according to Peskowitz, are given an even lower status with a depressed wage and no benefits. 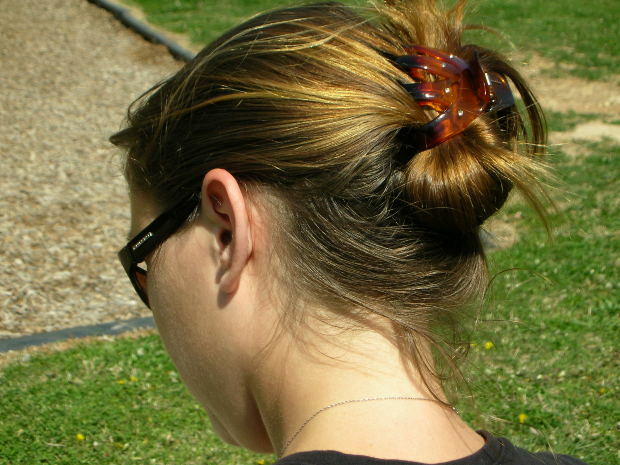 “All of these things wear on mothers and they wind up quitting or being squeezed out,” she says.